A loan of $200 helped to build a sanitary toilet for her family. Hazel works hard to support her children. She is married and has a general store business in the Philippines. 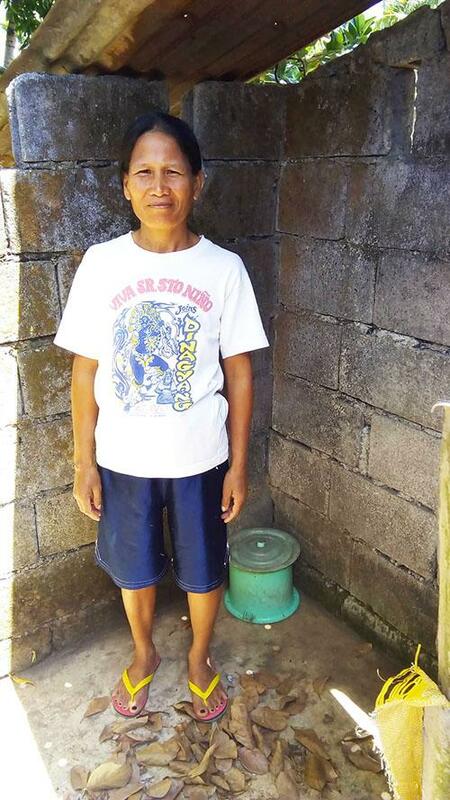 She requested a PHP 10,000 loan through NWTF to invest in a sanitary toilet. Hazel is aware that by using the sanitary toilet, she is not only saving money, she is also helping the environment and reducing health and hazard risks to her family. It helps protect families who are most vulnerable to waterborne diseases. This loan helps to improve the living and hygiene standards of families in the Philippines by ensuring households have a safe water supply and improved sanitation facilities. By supporting this loan, you help borrowers reduce rates of waterborne diseases and increase their economic outcomes.